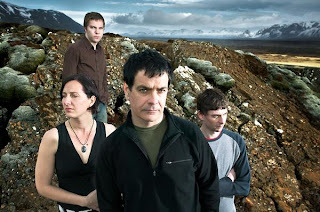 Anyone who digs old school indie/alt-rock as much as me will be happy to know that The Wedding Present will make a stop in Chicago this Spring for an April 16 show at Double Door. The gig will be part of a tour commemorating the 21st anniversary of their sophomore LP, 1989's Bizarro, which marked their first major label release. After forming in the mid-80s, the band helped establish the indie rock sound and have since influenced a long list of artists. Tickets are $15 and Girl in a Coma will open the show. Click here for more information.